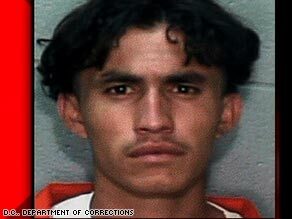 WASHINGTON (CNN) -- Imprisoned Salvadoran immigrant Ingmar Guandique was indicted this week on charges of kidnapping and killing Washington intern Chandra Levy in 2001. Ingmar Guandique boasted about his ties to a violent Salvadoran street gang, an affidavit says. A federal grand jury handed up the six-count indictment Tuesday, charging Guandique with kidnapping, first-degree murder, attempted first-degree sexual abuse and attempted robbery using force and violence. He is scheduled to be arraigned May 27 before District of Columbia Superior Court Judge Geoffrey Alprin, federal prosecutors said. Guandique, 27, is serving a 10-year sentence for two assaults in Rock Creek Park that occurred around the time of Levy's disappearance May 1, 2001. Authorities believe that Guandique attacked Levy, 24, as she jogged in the park, attempted to sexually assault her and then killed her. His public defenders, however, have called the police investigation flawed and cautioned against a rush to judgment. According to an affidavit filed in the case, Guandique told at least two people that he killed a woman in the park. The affidavit includes an account from a witness who said Guandique told him that he was sitting with two male teenagers on a bench in a park, smoking marijuana laced with cocaine, when a woman with dark, thick hair jogged by. The witness said Guandique thought she "looked good" and told the two teens that he was going to "get her," the affidavit said. Guandique told the witness that the three followed the woman along a path, then grabbed her and forced her off the trail. When she started screaming, he grabbed her by the neck and choked her to death so that others in the park would not hear her screaming, according to the affidavit. It is not clear from the affidavit whether the two teens who Guandique said were with him actually exist. Police have said they have no other suspects but said in March, when Guandique was arrested, that the investigation was continuing. The affidavit also said Guandique boasted of his ties to the violent Salvadoran gang Mara Salvatrucha, or MS-13, and told witnesses that he was known as Chuckie -- the name of a demonic doll in a series of horror movies -- because he had a reputation for "killing and chopping up people." He also kept a magazine photo of Levy in his cell, the affidavit said. Levy, a California native, was in Washington working as an intern for the Bureau of Prisons. Her skull was found in the park May 22, 2002, more than a year after she disappeared. A search turned up other remains, as well as clothing later identified as hers strewn down the side of a ravine. Levy's running shoes were unlaced, and her clothes were turned inside out, the pants knotted in tight restraints around her legs. If convicted, Guandique faces a maximum sentence of up to 60 years in prison, with a mandatory minimum of 30 years, prosecutors have said.